GET ON THE MAILING LIST OR FOLLOW US ON TWITTER FOR WEEKLY UPDATES. 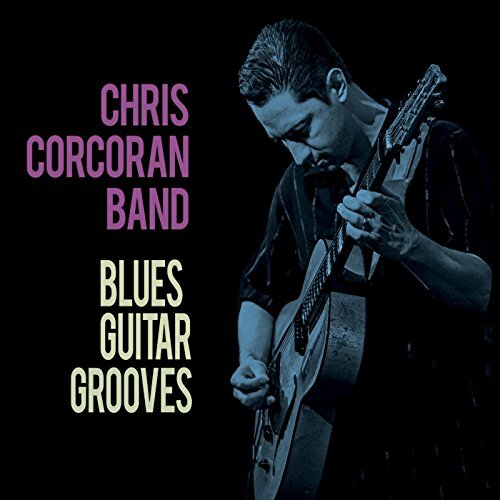 Chris Corcoran is the guitarist’s guitarist and leads the only instrumental band on the circuit, which is testament to Chris’s unique style and ability. 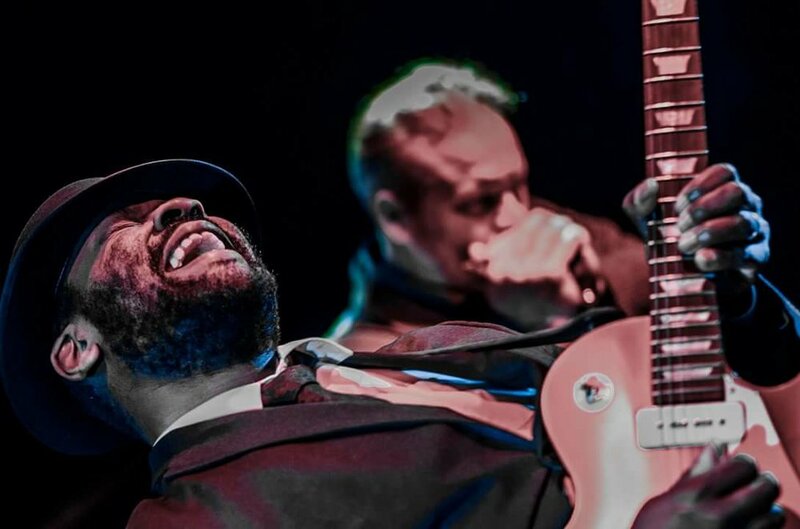 As one of the UK’s finest Blues and R&B players, he has been performing across the UK and Europe for the last 20 years. His trio played last year to a packed house and so he’s back with the full, a suitable way to wake up the bear for the first gig of the season. UK and British Blues Award winners Catfish have carved a reputation for themselves as an excellent live band with a phenomenal frontman in 23 year old guitarist/vocalist Matt Long who plays with a real passion for the blues. In 2016 they won a British Blues Award and in 2018 won the UK Blues Award for Blues Act of the Year (England). Their album Broken Man was voted album of the year for 2017 by the Independent Blues Broadcasters Association. Both their albums have reached no 1 in the IBBA Blues Airplay Charts, and they are currently recording their next. Catfish have been selected as one of only five bands in the country to represent the country in the UK Blues Challenge in September. Come to watch, come to play, come to drink... The Jazz Jam is a session led by a great house band, where musicians and singers come to try out material, play old classics and sit in with other players. It is for everyone. Half of the crowd come to play, half come to just watch. It's the sort of gig where you don't know what's coming next. The Luton Music Club welcomes non-members who wish to purchase tickets on the door. Soul Food Poetry is an event that was born to offer a platform for local talent in the spoken word field. The stage is always graced by local up and coming poets and artists, and their natural hunger, rawness and passion is what helps to make Soul Food Poetry such a sought after event. Top acts from around the country also join the evenings, maintaining a high level of quality and performance at every show. Soul Food Poetry hopes to give exposure to everyone whilst sending out a message of inspiration and motivation to other artists and members of the audience. And yes, there is soul food to eat too! Clod Magazine DJs explore acoustic jazz eras, plus exotic, quixotic and rarified sounds, played on a record player and digital device. Bar open from 5.30. Events start from 7.30. Alison Wheeler - Fantastic lead singer of The Beautiful South, a band that has sold millions of singles and albums around the world. Not ready to quit when the band split, Alison continues to perform and impress audiences with her stunning vocal range and style. Phillipa Leigh - Award winning singer songwriter and ukulele player. Winner of the Ukulele Festival of Scotland Rising Stars Competition 2018, she has performed at Ronnie Scotts, Jazz After Dark, The London Eye and venues around the world from Bucharest to Brazil. Phil Southgate - Sensational pianist, guitarist and musical director. He was a Daily Telegraph Young Jazz Musician finalist, tutored by jazz legend Digby Fairweather, and has performed live on BBC radio and at top venues throughout the UK. With their exciting new approach, Southern Beauty have re-imagined many famous Beautiful South hits into the jazz genre as well as delivering captivating renditions of classic jazz standards. Award-winning harmonica player and Blues singer Mat Walklate will be joined by the exceptional British Blues musician, Dr Tom Attah . 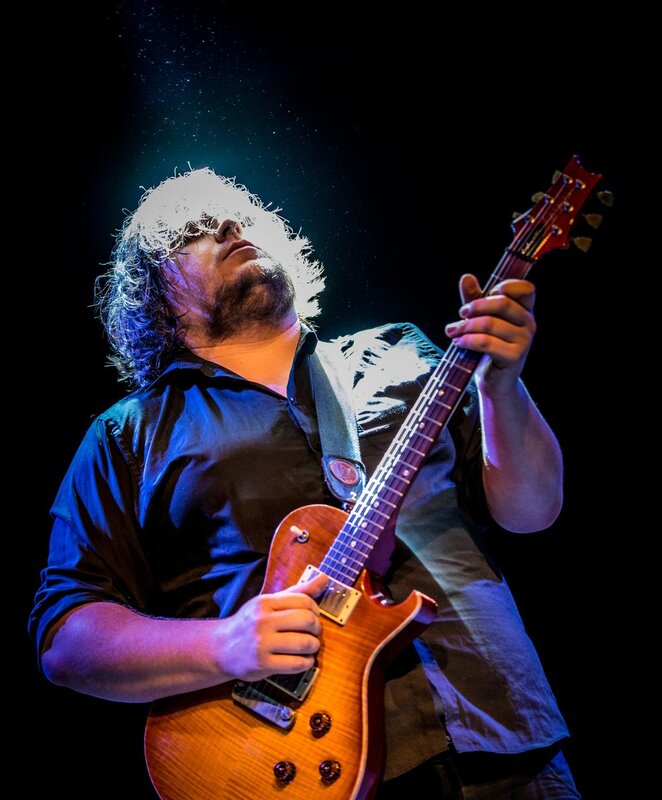 Tom is an engaging, ebullient performer, a forceful singer and guitarist and the proud owner of a PhD in Blues! Mat and Tom will be playing some of their original songs, including those that feature on Mat's new album, Sea Of Blues. Many of you may have seen Walklate & Fuschi who have played 2 sell-out shows at The Bear. This promises to be a different beast but just as brilliant. Shappi has made countless appearance on the biggest UK shows, including Mock the Week, Live at the Apollo, QI and Have I Got News For You. 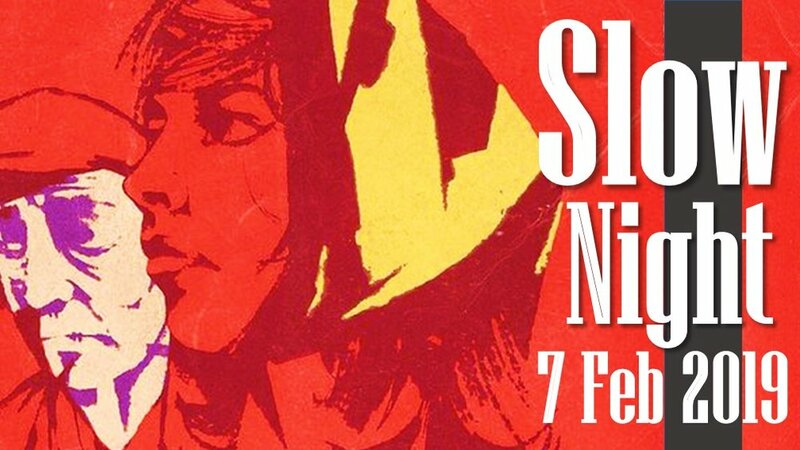 Shappi joins us a week before heading out on a brand new tour, so this is a rare opportunity to see some brand new material before anyone else, in intimate surroundings! Her first Bear Club show. Possibly the most prolific joke writer on the circuit, Adam has is a former nominee for Best Newcomer at the Edinburgh Fringe Festival. Adam is simply one of the funniest guys out there and his profile continues to grow. One of our favourite's down at The Bear, Jarlath returns to MC for us again. 2018 has been a big year for Jarlath, having wrapped up his hugely acclaimed solo show 'Organ Freeman' with a run at Soho Theatre, and seeing his 'Irishman Abroad' podcast reach new heights, as well as launching two new podcasts. Come for company. Come for solitude. The Last Chance Ragtime Band is a group dedicated to putting jazz on the dance floor. 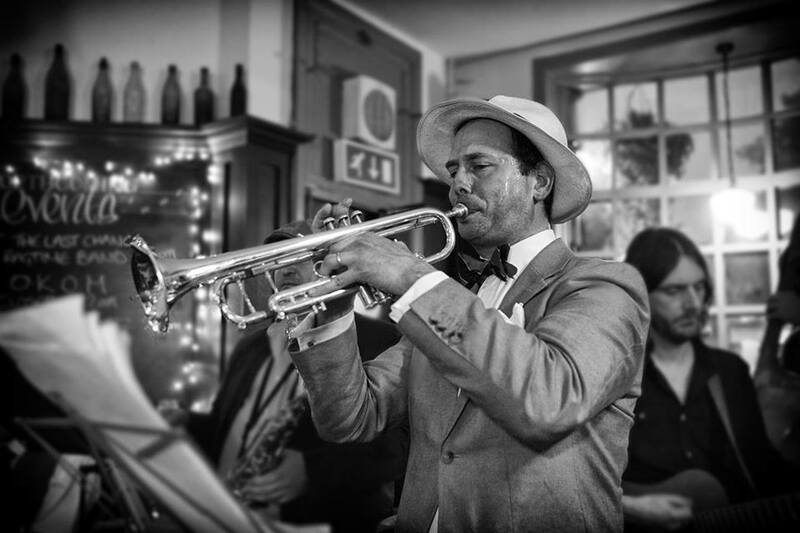 Taking their inspiration from the New Orleans Jazz bands of Frenchman Street, LCRB plays music especially crafted for swing, Lindy Hop, Blues, Balboa and Shag dancers. There ain’t much room to swing a cat at The Bear Club, but it worked a treat last time, so we’re thrilled to have them return. And it’s not out of the ordinary for the odd table to get shifted to the side when the rhythm comes a callin’. This newly formed organ 4tet was formed by drummer Joel Barford in late 2018. Inspired by Jesse Van Ruller/Mark McKnight/Seamus Blake and more from the New York vibe. Taking on a more modern approach mixed with originals from the band members and well known standards. "These are marvellous interpretations of Ammons' highly approachable music"
The new passion project from saxophonist Brandon Allen. An innovative homage to the saxophonist Gene Ammons. Ammons was one of the founders of the Chicago style of tenor saxophone playing and was a contemporary of such tenor-playing luminaries as Dexter Gordon, Wardell Gray, and Sonny Stitt. He is also counted as one of the founders of the ‘Soul Jazz’ genre, infusing funky drums, organ and electric bass with jazz. This project focuses on music spanning Gene Ammons' entire career, from the late 40's right through to the mid 70's. Alto-sax master Tony Kofi fronts this loving celebration of the jazz giant (in every sense) Julian ‘Cannnonball’ Adderley. With Andy Davies (trumpet), Alex Webb (piano), Andy Cleyndert (bass) and Alfonso Vitale (drums) the group traces the explosive music of Cannonball from his first session as leader in 1955 through work with Miles Davis to the soul-jazz of the 1960s. Cannonball Adderley was one of the best-loved figures in post-war jazz. Hailed as ‘the new Bird’ on his emergence, he made historic recordings with Miles Davis and John Coltrane as well as having many crossover hits as a pioneer of soul-jazz.